Roulette casino bonuses - Do they clear wagering requirements? Does roulette clear bonus wagering requirements? Does playing online roulette help to clear bonus wagering requirements? The answer is usually yes, but not as quickly as other games, as detailed below. What is a bonus wagering requirement? The old saying ‘you don’t get something for nothing’ rings somewhat true when it comes to the bonuses and welcome offers extended by online casino vendors. While these bonus offers will definitely bring some sweet rewards and can be a great way to get a chunky boost to your bankroll, there are wagering requirements in place to protect the operation of the venue. Before diving in to play roulette in the hope that it’ll clear your wagering requirements, it’s first important to understand how bonus wagering requirements (or play-through requirements) work in order to avoid any disappointment. When an online casino bonus is offered, the venue has certain limitations in place to protect the money it’s giving away. Casinos typically require that you wager a certain amount of money before the bonus they’ve given you is available to use. For example, a welcome bonus of $100 may come attached with a 15X play-through requirement, which means that you’d need to spend 15 times the amount of the $100 bonus before the money is released to you. In that case, you’d need to place $1,500 in real money bets before you were able to play using the bonus money or withdrawal the cash. Every casino has different wagering requirements, with different casino games contributing to the requirements differently so it’s important to read the terms and conditions of any promo before expecting to see the bonus funds hit your account. Guts Casino – all bonuses must be wagered 35 times before bonus funds can be played with or withdrawn. 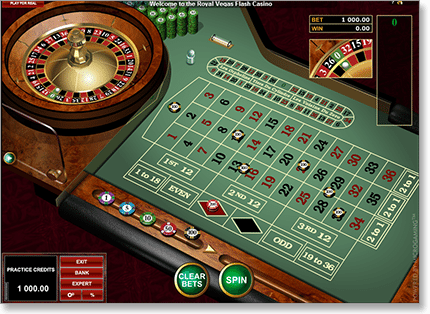 Roulette and other table games do not count towards the wagering requirements, with slots contributing 100% and all games under the classic slots tab contributing 70%. Royal Vegas Casino – welcome bonuses are subject to a 40X play-through requirement while all other bonuses are subject to a 30X play-through requirement. Roulette can be used to clear the wagering requirement but only up to 10%, while pokies, keno and scratchies will contribute 100%, table poker will contribute 20% and blackjack and video poker contribute 10%. Thrills Casino – welcome bonuses at Thrills must be wagered 35 times before bonus funds can be used, however bonus money cannot be used to play any of the roulette games. Roulette will contribute to the wagering requirements but only by 5%, compared to pokies and scratchies that will count for 100%. From the requirements outlined above it’s clear to see that playing the pokies is your real ticket for clearing your wagering requirements quicker, with roulette counting for as little as 5% and even zero. If you’re a devoted roulette fan this could be a good chance to branch out and try something new. There are literally hundreds of online pokies to choose from, using all kinds of different themes and game designs to ensure there’s a game to suit all tastes. Like roulette, the outcome of pokies is based purely on luck, so it’s worth getting stuck into some spins in order to claim your rightful casino bonus.